By the time my daughter was six months old, she had circumnavigated the globe. We had flown from Boston to Dubai, to Australia, to California and back. In her first few months, my baby had racked up more miles than I had in my entire childhood. I thought I had mastered this whole family travel thing. So I was surprised when our next trip — a short domestic flight — was much more difficult than those trans-continental long hauls. It turns out that traveling with an infant is relatively easy, but traveling with a toddler is tough. I was knocked off my high horse pretty quickly. Still, I wasn’t deterred. My daughter is four now and has been to three foreign countries and several states. We’ve done road trips and short flights, hotels and homestays, and along the way I’ve learned that the best experience depends a lot on how old your child is. 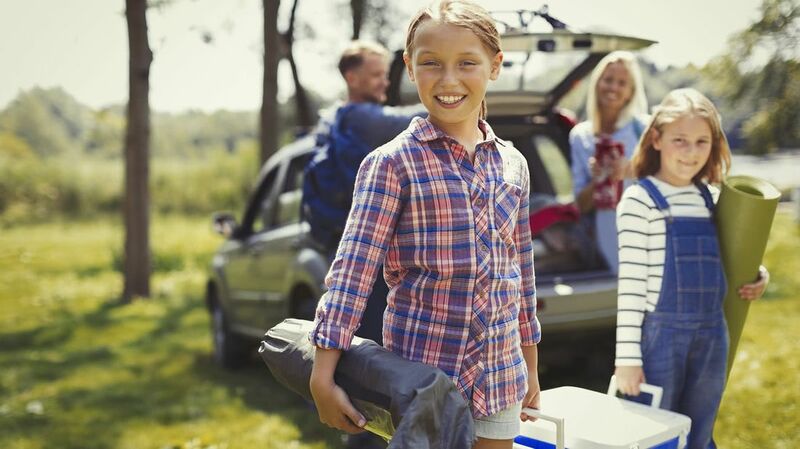 Here, according to experts, is how to make your next family vacation as smooth as possible. In general, it’s fairly easy to travel with infants, who often sleep through the whole ordeal and are happy in a new space as long as their favorite comforts and caregivers are there — so your possibilities are pretty endless. 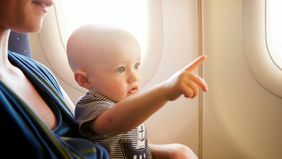 Plus, if your child is under two, you typically have the option to hold them on your lap and either not pay for their airfare, or pay a small fee in lieu of a ticket. However, things get more complicated once your child is in that tough toddler age where they want to be moving a lot, and can’t be distracted for very long by things like videos or crafts, says Andrea Khan of The Family Backpack. If you’re traveling with a toddler, Khan recommends sticking to shorter trips — just a few hours away — that are accessible by car so you can dictate the schedule. Kids who are a bit older are able to do more during the day and can also express their own interests. Exploring national parks or other natural wonders is great for elementary- or middle-school aged kids, Khan says. Plus, the National Parks Service offers free admission to all fourth graders and their families. 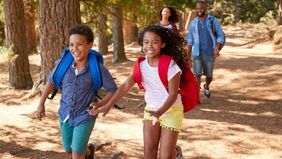 Get your kids involved in the planning process so that they’re more invested in the vacation, says Dr. Richard Horowitz, a parenting and family coach. “This means holding a family meeting and getting input from the children while the parents provide feedback as to time and resources allocated for the travel,” he says. If arguments arise over a certain activity, you can remind the kids that everyone was involved in the decision. The most successful trips tap into the kids’ interests. For example, Washington D.C. and New York City are both great destinations for this age group because they allow kids to explore things they’ve learned about in school. Being stuck in a car (or on a plane) with your teenager might sound like torture, but Viktoria Altman, a travel writer and photographer, who regularly travels with her own sons, says that international road trips are a great option for older kids. “This summer we are flying to Montreal where we will take a road trip for a few days and stay in the city for a few days,” she says. The French-speaking portions of Canada provide novelty, but are still familiar enough that teens won’t be overwhelmed. “Here you will have the experience of visiting a different country and a different culture, but many conveniences you are used to in America,” Altman says. 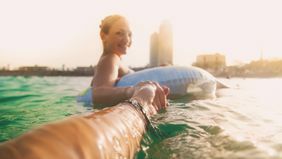 Families with more travel experience might drive through Northern Europe or Costa Rica, destinations that are safe and convenient for Americans and where almost everyone speaks English. Altman recommends limiting drives to three to five hours a day, but says that getting out of the major cities can give families a more diverse view of a country. Know your kids. “There are more important markers as to what might be appropriate depending on the maturity and temperament of the child,” Horowitz says. Consider skipping the hotel. Staying in a home with a kitchen is a great option for many families, in order to cut back on the expense (and stress) of eating out. A home will also feel more familiar to the kids and give everyone a bit of extra space. Plan ahead. Don’t just think about this summer, but about the next few years, too. Talk with your family about where you want to travel, and when to tackle each destination. Remember your documents. Get them in order before you travel, including IDs if you’re staying in the country and passports and visas if you’re traveling abroad.